All web applications given on this page are created with the desktop application of CAESES®. As soon as you click on a live preview, CAESES® is starting up on a remote server. The generated geometry data of the project is sent to your browser for visualization. 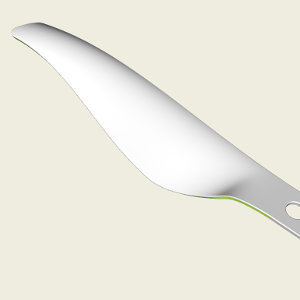 You can interact with the 3D model, in particular, you can modify its shape parameters. The remote CAESES® instance regenerates the model according to your new parameter settings, and sends back the updated geometry to your browser. Finally, there is the option to download the modified geometry at the end of the live preview. Note that our web apps are still in a beta phase. Any feedback is welcome! This is the online geometry generator for the aero package of the MVRC challenge intro class car. 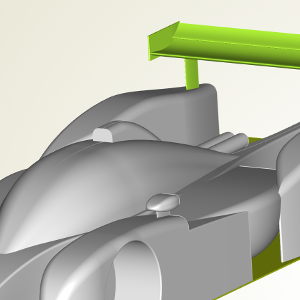 Rear wing, front wing and floor/diffuser can be configured and downloaded as STL files. 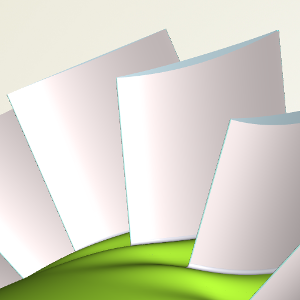 This is a model of an axial fan that can be found e.g. in PC cooling devices. This demo allows you to change the blade shape by using typical parameters such as chord length and pitch angle. 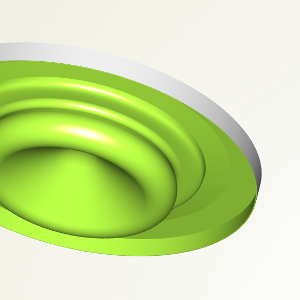 This is a demo model of a stator which includes endwall contouring. The model contains a set of parameters that can be changed, and you can download the final geometry. This is a ship hull model we have worked on within the R&D project HOLISHIP. Thanks also to our partners from CETENA. Includes typical parameters and a free geometry download at the end. 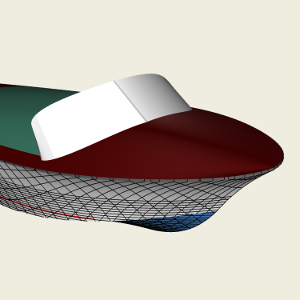 Change the shape of this speedboat and receive a closed fluid domain as STL for meshing the geometry with CFD tools. 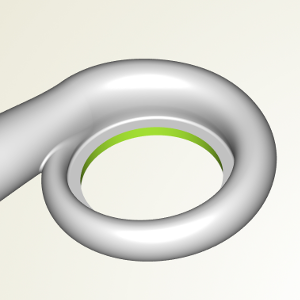 This demo also includes the possibility to download the fluid domain. 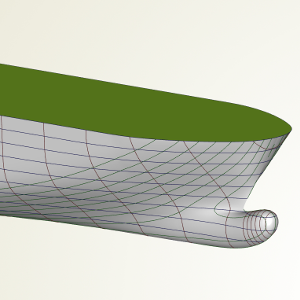 This is an example where a parametric ship hull model is wrapped together with a CFD setup. 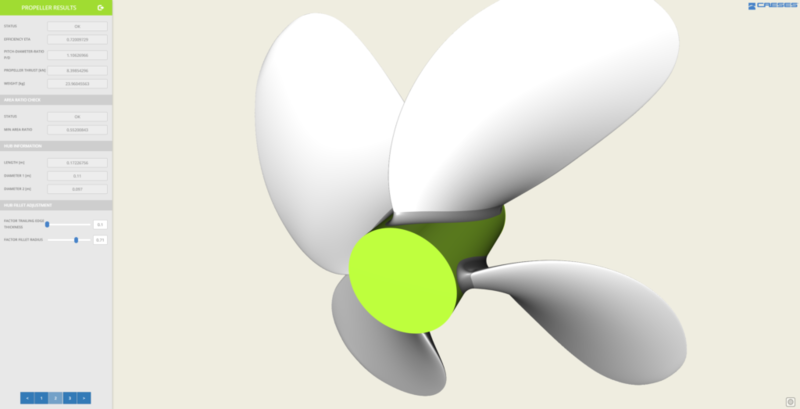 This is a simple parametric model of a drone propeller with a set of fancy parameters. Try it out and generate your own drone blade geometry that can be directly downloaded. CAESES® is an ideal tool for the design of turbocharger and pump volutes. To keep it simple, this demo model comes with a nice but pretty reduced parameter set. 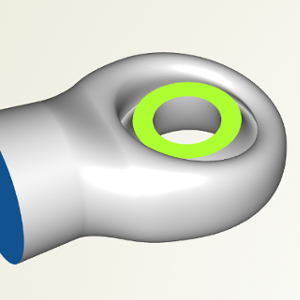 Here is a geometry model for a turbine exit casing. Change the radii, the volume of the scroll and the transition from the scroll to the outlet. This is a demo of a parametric piston bowl with automated adjustment of the compression ratio. The final geometry can be downloaded as colored STL or in CONVERGE CFD format. 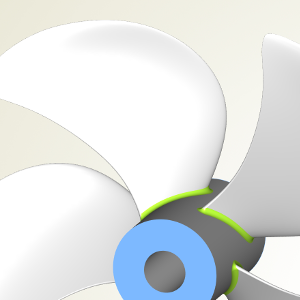 This is a simple CAESES® propeller model. 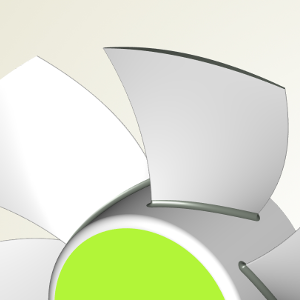 CAESES® allows you to create fully customized propeller models, including specific types such as Wageningen B-Series propellers. Interested in a custom app for your application? We help you to create it on the basis of CAESES®. The app is easy to use and runs in a browser. It can be hosted online, or by yourself without the need of Internet access. Click here for more information or simply contact us! 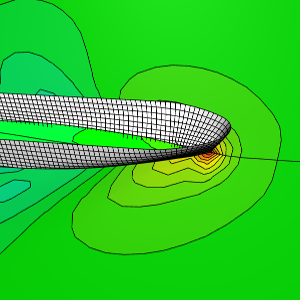 There is also a new online service available to generate solid propeller geometry for the famous Wageningen B-Series. This service is also based on CAESES® and the final geometry can be downloaded as STL or STEP file.